I just decided to re-edit it this 2013 photo based on the techniques I’ve learned since then, and I am very happy with the results. It was taken in Baltimore, and was one of my first true minimalist photos. Stormy conditions aren’t always the best for a photography outing, but on this occasion I used them to my advantage. The great thing is that I managed to get home just before the downpour! All the elements came together here, I hope! I am coming to the end of a 5 day visit to Joao Pessoa in Brazil. Although it is a working visit, I have been able to find some time to get out and about with my camera. During my stay, my inspiration for photography has come from the long stretches of golden sandy beaches, and true to my minimalist self, I found just the shot I was looking for! I can’t believe it is October already, and that the last time I posted was in July! For one reason or another, things have been very busy hence the lack of posting, despite the fact I have many images waiting in the wing. Anyway, things should get easier in a few weeks and I can get back to posting regularly. One very common sight in most cities and towns are car parks, and many provide great abstract photography opportunities due to their mostly rigid geomentric structures. Here is one in Fort Worth, Texas, the lines helped by strong midday sunshine. I normally try to avoid reflections in shots such as this, but on this occasion I thought the wisp of distorted clouds seems to give a slightly ethereal feel. Recently while travelling for work I had the weekend free, and on saturday night was undecided where to go the next day. So what better to do than have a pint or two of beer and do some online research. While doing a reconnaisance using street view mapping, I noticed this building, and decided to drive 90 minutes the next day to find it! I saw this building whilst driving north towards Boston on the interstate and decided it would make a good photograph to compliment my ‘City Facades’ series. However, trying to find this building once parked was another issue as, once in the downtown area, the high rise building make it very difficult much other than straight up! During the cab ride to my hotel in Fort Worth recently we passed a building that to me looked very interesting as a photographic subject. A few day later I walked four miles to find the building, but when I got there it wasn’t what I had expected, but found this instead just around the corner. I arrived at my hotel in Fort Worth at 6pm after travelling for over 12 hours from London. The sun was still shining, so rather than take an early night, I decided to take a walk in the city, camera in hand. Later, when I was walking back to my hotel, I looked up and noticed how this otherwise boring concrete building appeared to glow golden in the late evening sun. I have desaturated this image to remove a slight cyan cast, otherwise this is as seen. The wood was painted grey, the window frame was white, and there was no reflection from the window, because I deliberately postioned myself to avoid such reflections. I never set out to build a series of photographs from scratch. 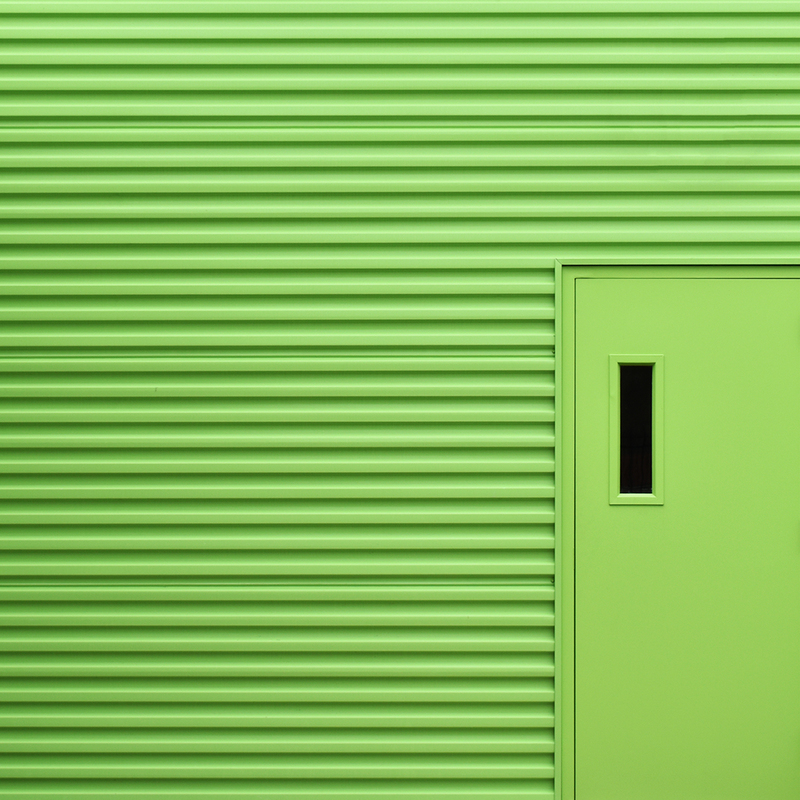 Rather, I usually try to build a series from one or two photos in my collection, deliberately targeting particular areas, such as I did with my ‘Industrial Minimalism’ series. ‘Colorado Windows’, on the other hand, happened quite by chance during a visit there last summer when, after a few days, I realised I had a full series without trying! I am regularly asked this question when sharing my images. Each time I have to say yes, it is real. I walk the streets to find these unusual building and objects; that is the pleasure for me. I couldn’t think of anything worse than sitting at home on my computer making these things up. I know others do, and that is fine, but I don’t. I have been honoured by Aesthetica Magazine with a 12 page feature. Here are the 11 images which they selected. The magazine http://www.aestheticamagazine.com is is available in hard copy and digital versions, and they have stockists worldwide listed on their page. Can’t wait to get hold of a hard copy myself! Need I say more? Could I say more? The simplest of façade designs. The building I was photographing here was a fairly boring, almost brutalist style concrete structure. 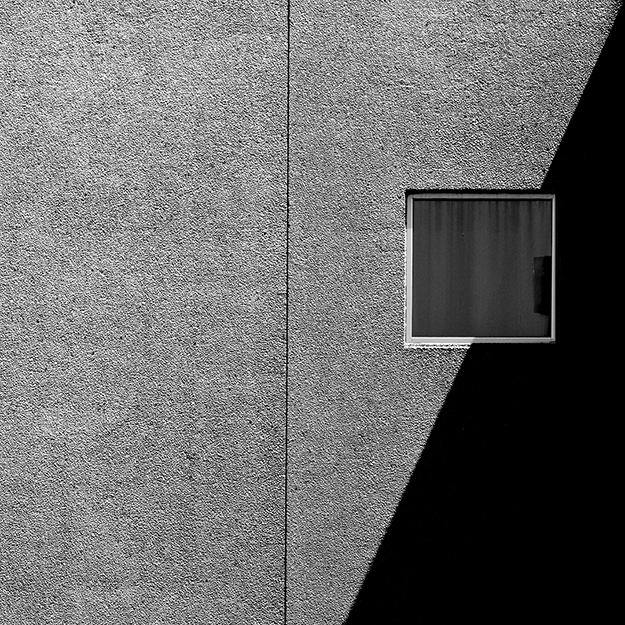 Here I have focussed my composition on a section of the structure, just as the concrete protrusions were casting shadows, all perfectly in line with the windows. The beauty of abstract work is that the viewer can see what they like. Someone commented that this image looked like a piano keyboard. I never saw this until they commented, now I can’t get it out of my head!